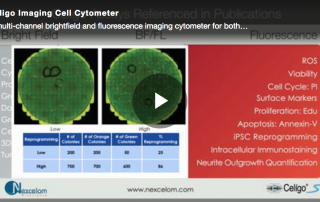 Video: PBMC Mediated Cytotoxicity Using Celigo Image Cytometry. 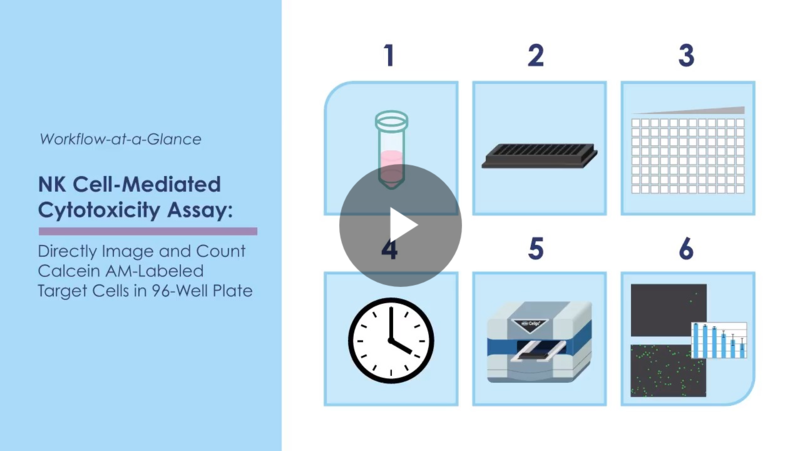 Avoid hazardous radiation in chromium release assays by using image cytometry. 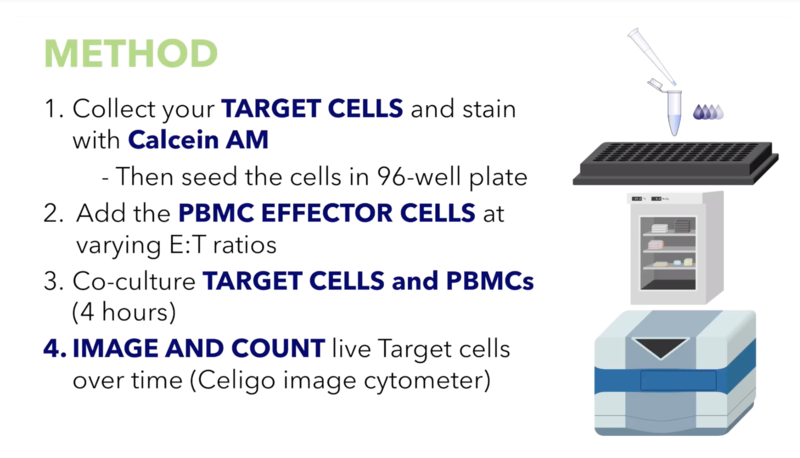 Video: Directly image and count calcein AM-labeled target cells in a 96-well plate using Celigo image cytometer. 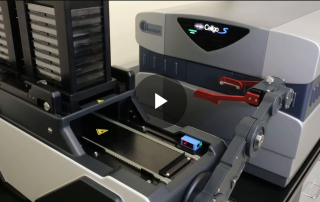 Concurrent imaging and analysis in 8 minutes. 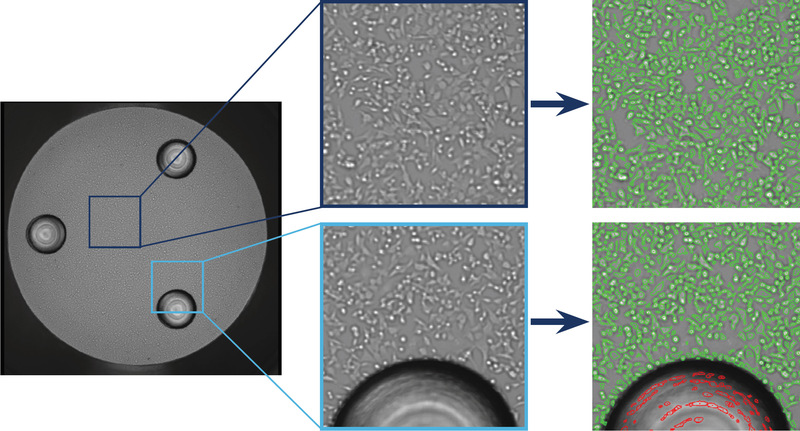 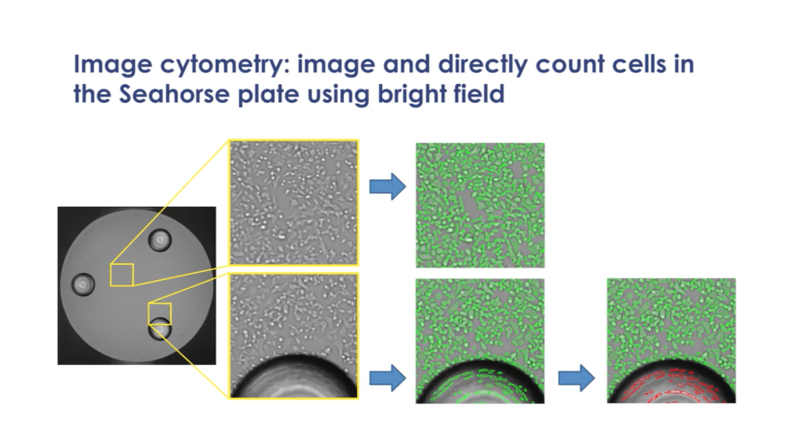 Directly image and count calcein AM-labeled target cells in a 96-well plate using Celigo image cytometer. 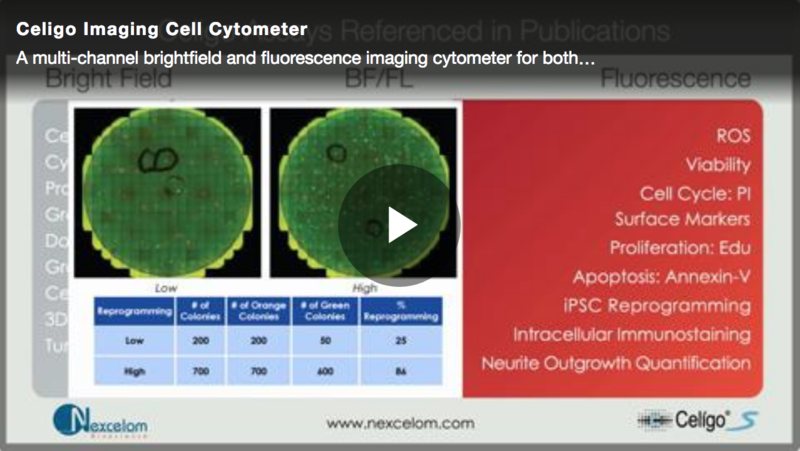 Concurrent imaging and analysis in 8 minutes. 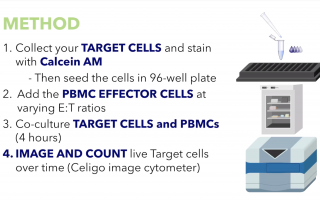 Celigo Image Cytometer provides a fast, effective, and cell stress-free technique to count cells plated onto uncoated or coated culture plates. 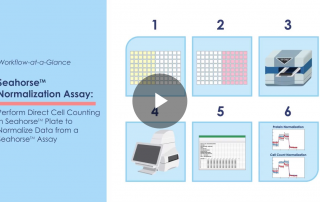 Video: Celigo workflow at a glance to perform direct cell counting or confluence of cells in a Seahorse plate to normalize the data from the Seahorse assay. 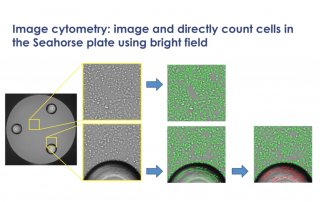 How to use Celigo image cytometry to normalize Seahorse™ XF data and eliminate time-consuming protein-based process. 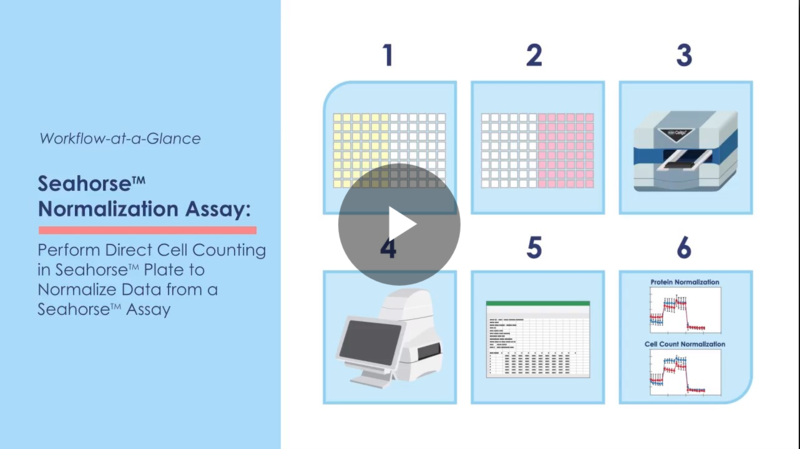 Video: How to use Celigo image cytometry to normalize Seahorse™ XF data and eliminate time-consuming protein-based process. 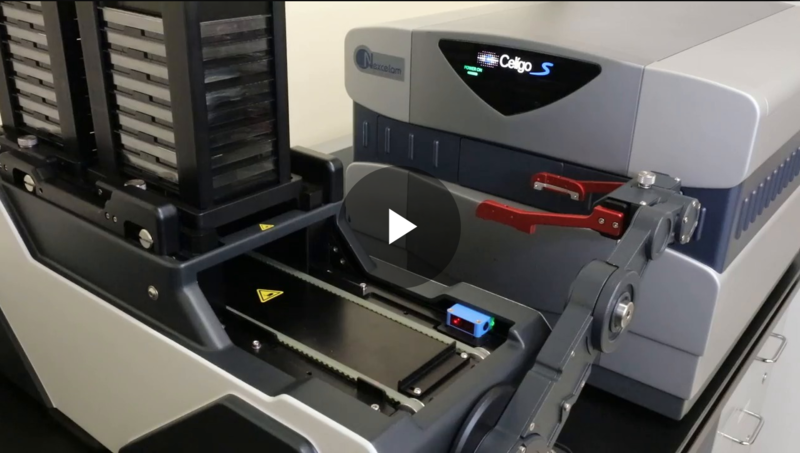 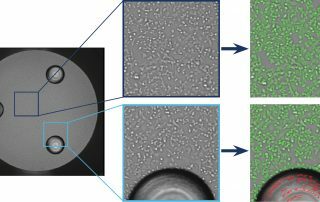 Video: Celigo is a multi-channel imaging cell cytometer designed for scientists performing bench-top experiments in micro-well plates. 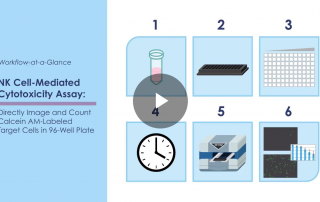 This webinar examines the current methods to perform apoptosis assays, before comparing using flow cytometry to image cytometry to review the advantages and drawbacks of each method.